Bob works closely with management, sales and marketing teams, leveraging his long experience and understanding of various markets, technologies, tools and techniques. He has worked with companies in various industries offering a wide variety of technologies and services ranging from robotics to supercomputers (HPC), middleware, storage, data mining, simulation, software development tools, internet commerce, wireless applications, embedded/real-time systems, product testing and certification, human resources consulting, insurance, home theater electronics, software localization, environmental services and more. 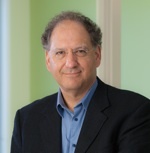 Beginning his career in high tech, Bob held management positions with Prime Computer and Sequoia Systems before co-founding and serving as President of Continuum Corporation in 1988, a marketing and sales development organization. While maintaining an independent sales and marketing consulting practice, he co-founded and was Executive Vice President of Sales and Marketing for Simplex Management Services in 1996, a joint venture with a division of Tyco, providing strategic management consulting. As a fully independent consultant since 1999, Bob has shifted his focus to the Virtual-VP role and works almost exclusively with small to mid-sized companies. Co-wrote and directed the award winning series "The Right Way to Manage," hosted by Sir David Frost, among the best-selling business video courses of all time. A dynamic presenter, often invited to speak at conferences, meetings and kickoffs, providing his perspective, insights and humor. Recent appearances include the Annual High Performance Computing Conference at Newport, The ACG Boston Corporate Development Conference, and the Institute of Management Consultants. Has coached thousands of executives, sales people and other professionals. Guided by Dr. W. Edward Deming's principles of continuous improvement, learned in depth while consulting to management guru William E. Conway for over 5 years.